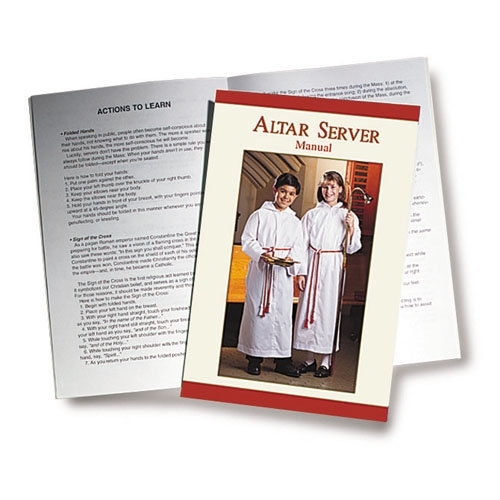 Features into page, listing of Liturgical Seasons, Order Of The Mass, prayers to know and actions to learn. Complete glossary in back. 16 pages.